There are 11 reviews of Habit Rouge L'Eau. 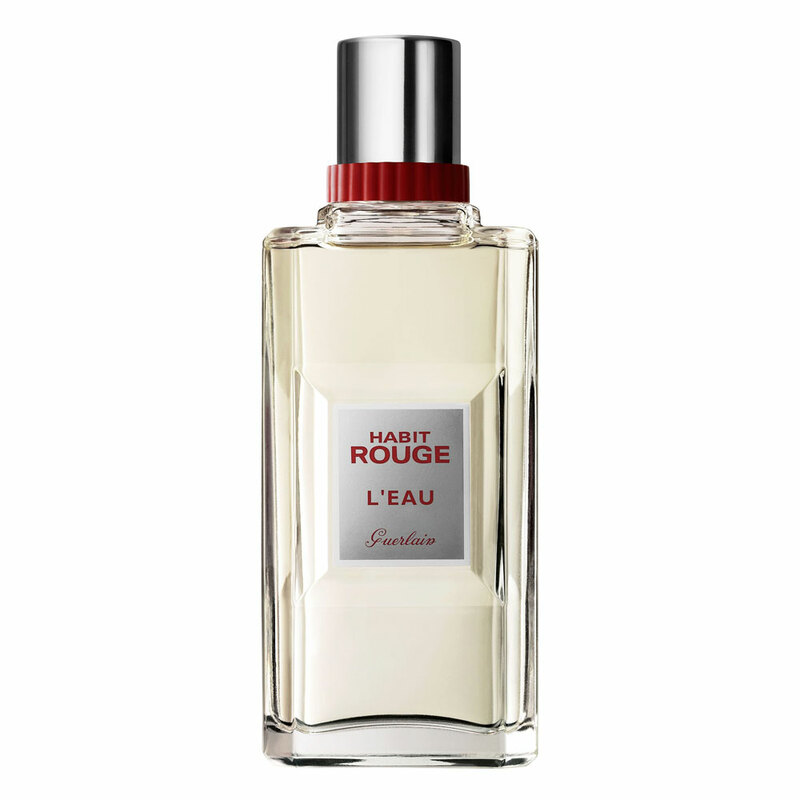 I had been curious about Habit Rouge L'eau for a few years, because of a few reasons. I love Habit Rouge, and L'eau is rated highly by many who love the original. Secondly, I love jasmine in perfumes, and L'eau purportedly contains a prominent dose. Lastly, I'm always on the lookout for a quality fresh fragrance (there aren't many), and what's not to like about a fresh twist on Habit Rouge? Well, it turns out that L'eau is rather underwhelming. L'eau leaves out the wonderful lemon of Habit Rouge and uses orange - somewhat synthetic, and at odds with the rest of the structure. There is the jasmine, but its combination with the orange results in an accord that is jarring. 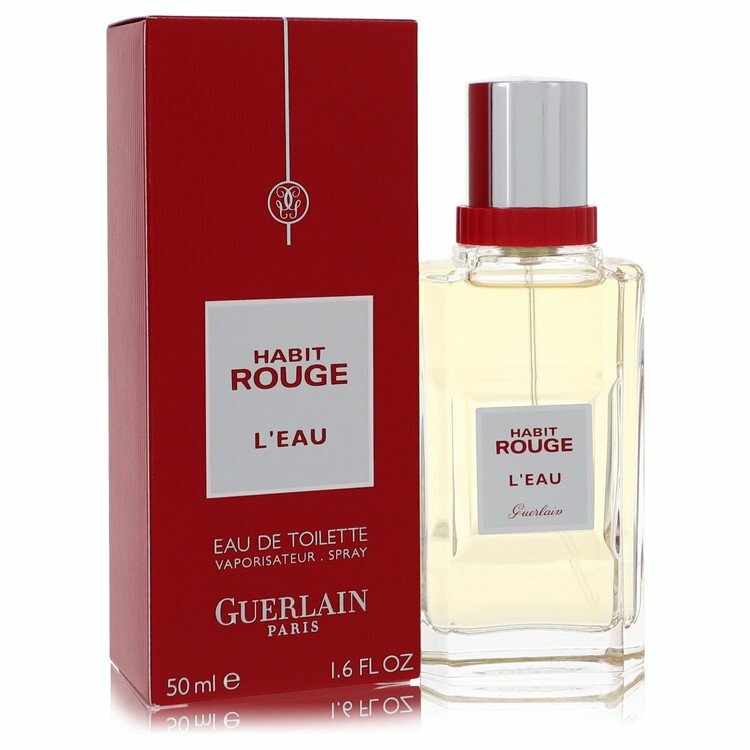 I feel that it smells quite different from Habit Rouge, and the motif (or at least the key features of the Habit Rouge motif) is largely absent. There's no leather here. Instead, what I smell is a musky vanilla, semi-sweet, that combines with the jasmine and the orange to create a sickly, synthetic accord. I detect a similar accord in the dry down of Cologne du 68, with the major difference being the iris in 68 is replaced by the jasmine in L'eau. While sillage is low-key, L'eau drones on for hours and becomes increasingly grating. L'eau emerges as yet another example of the difference between the Guerlain of then and the Guerlain of now, Jean Paul Guerlain and Thierry Wasser, and perfumery artistry vs. corporatocracy driven mediocrity. Sure, it's better than all the L'Homme Ideal nonsense, but that is not saying much. Stick to Habit Rouge, or Le 3me Homme de Caron for your jasmine fix in a similar context, or L'eau Boisee if you crave freshness. Sorry, I do not like the original and this isn't that far of a departure from it, so I can only give a "neutral" rating. However, I do feel like it successfully does what it sets out to do; modernize a classic while retaining the original DNA. I can respect and admire that. Nice citrus update freshens up the original scent, but cannot compensate for the dominant Habit Rogue smell that persists throughout, which prompted my wife to tell me I smelled "like an old lady." Projection is very good for the first couple hours. Longevity is good as well. This is a neat trick—an old classic has been modernized without losing its heart and soul. Much in the way Eau de Shalimar lightened and brightened classic Shalimar, Habit Rouge L’Eau takes a brighter, more modern approach to its parent but it is immediately recognizable as Habit Rouge. Although lighter, with the citrus amped up and a floral heart and without any of the leather of the original, this still has a density and depth that could only come from Guerlain. I love leather and thought that I would really miss it in this version—I mean, what would a fox hunt be without boots, tack and saddles? In the rarified world of hunting, hunters typically wear hacking jackets and paddock boots with half-chaps for pre-season cubbing but from the day of the opening meet, it is tall boots and hunt jackets all the way—scarlet for those who have received their colors. L’Eau lets us enjoy the laid-back informality of the pre-season; we’re still out hunting in the field and having a great time but without the formality of having to conform to a strict dress code (that is a whole other facet to the Habit Rouge story….). A little easier to wear, a bit more light-hearted and certainly less precious and rarified than its parent. For those who have seen it, there is nothing more impressive than seeing a field of hunters turned out in scarlet—there is simply nothing like it, much the same as Habit Rouge has few equals in impressiveness and formality. If you want to fit into the landscape a little more—the way a tweed hacking jacket blends into the scenery—then Habit Rouge L’Eau is the way to go (and the PETA protesters may have a harder time spotting you!). The opening is a classic enhanced by the freshness of orange followed by intensity floral notes of jasmine.the hazelunt is following in the background and combining with the sweet vanilla and patchouli to give a very cozy and comforting vibe for the man of character who stands out with strength and passion.this can be worn casually and is perfect for work or suit tie events.the scent is as alluring as the man who wears it. There are no member images of Habit Rouge L'Eau yet. Why not be the first?